Home Fintech Bitcoin What is Blockchain and What Can It Do? What is Blockchain and What Can It Do? For the past year the world has been gripped by the emergence of blockchain technology, its potential value and industry altering potential. The rapid emergence and implementation of a decentralised public ledger allowing peer-to-peer transactions without the trusted middleman, has unearthed countless uses for any system wanting to keep its data tamper-proof and immutable. 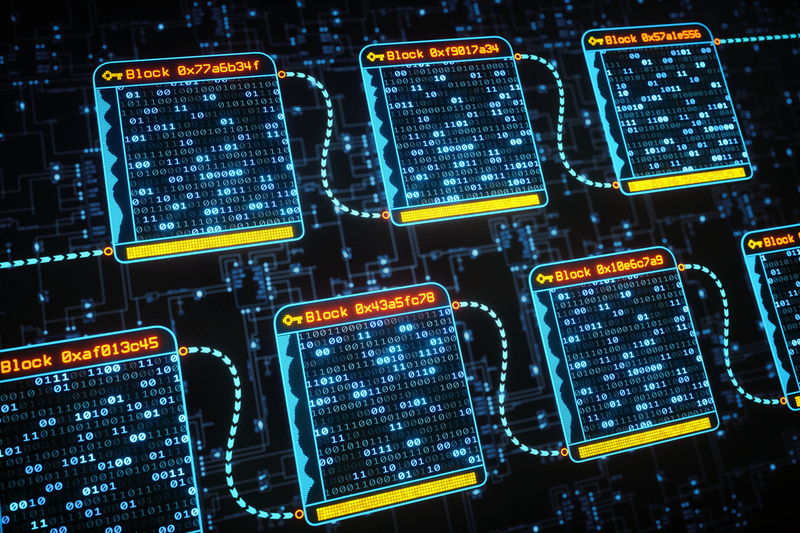 The global blockchain market is now anticipated to grow to over $80 billion by 2024 as more companies adopt distributed ledger technology and mass-use cases appear. Yet, for many people the question remains, what is blockchain, what can it do and what does it offer? At its very simplest blockchain is a distributed database. Everyone on the network will have a copy of the same dataset and any changes to the data is automatically reflected in real time across the network. Which means everyone has the same data all the time. And the best part is this is done without the need for a centralised party overseeing everything. No need for police or courts, 3rd party custodians, all transactions are self executing and immutable with no realistic way to tamper it. Blockchain is the technology that makes Bitcoin, Ethereum and all the various coins possible. Various coins will come and go, but Blockchain will remain an innovation as important for mankind as the wheel, fire or internet. Bitcoin is digital cash and it uses the Blockchain technology. In fact it is the first successful attempt at implementing digital cash without the need for a central party like a government to oversee it. It is now 10 years old and now has several other similar competing coins such as Litecoin, Dogecoin, Bitcoin cash etc. Ethereum can be best understood as a set of lego blocks using which interesting things can be built on top of its Blockchain framework. In Bitcoin consider there are two people, person A having 20 Bitcoin and person B having 30 Bitcoin. If A sends B 10 Bitcoin then the transactions result would be: A-10 and B+10. Which means A will now have 10 Bitcoin and B will have 30 Bitcoin. All of bitcoin transactions are really simple plus and minuses. It is simple yet powerful if your only goal is to track transfer of money. Ethereum goes beyond these single plus minus transactions based state changes. With Ethereum you can do more than one step and you can do operators beyond simple plus and minus. You can program state changes. These calculations can get complex and someone has to pay for the computing power. This is paid using GAS (which is basically 1/100,000 of one Ether. This so-called GAS is the fuel that powers smart contracts on the Ethereum Blockchain. Ethereum goes beyond what Bitcoin does by adding the programming capability in it. 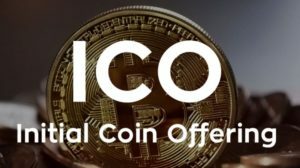 What is an ICO, how does it differ from a typical IPO? Ethereum made it possible for other applications to be built on top of it and create their own tokens. These so-called utility tokens could be used to pay for various fees on the application once it is built. An example would be chips in a casino or tokens in a video game arcade parlour. But now someone who had an idea for an interesting application to be built on top of Ethereum could create these tokens upfront and sell them instead of selling shares in his business. So potential users could buy these tokens and help bring interesting ideas to life. Note that these tokens are not backed by any asset, do not represent any share in any business or anything else. They are just a right to use something in the future. These so-called utility tokens are usually built on what is known as the ERC 20 standard. Each of these tokens can be exchanged with other tokens of the same type and new trading platforms emerged where these tokens could be traded by speculators. So a proposed arcade video store can issue so-called ARCADE utility tokens using the ERC 20 standard on Ethereum which its users can use to play in the arcade. These ARCADE tokens can be traded on specialised exchanges just like you would trade stocks and their price would rise and fall based on the demand for these tokens. These are however not backed by any asset and are rather representing a right to future use of the system rather than ownership of any kind. This brings us to the next class of tokens called asset-backed tokens. They represent tangible ownership of something else. For instance these can represent a single house or a car or something else. Owning the token would represent your ownership of that physical item. A bit like a title deed but represented on the Blockchain. Security tokens take the concept of asset-backed tokens by allowing you to own part of the physical item. A share or a unit or a part of a whole. Security tokens are essentially your regular old school securities represented on the Blockchain. But putting it on the Blockchain gives them several super powers. Because these are on the Blockchain they are now suddenly open to typical blockchain investors such as people who have dabbled in Bitcoin. This is a huge global audience and a wider reach means fundraising can be faster. Securities represented on the Blockchain are implicitly liquid. The way Blockchain works means that 2 parties can trade their positions without needing to go through a central party. Liquidity means lower cost of capital. Security tokens using smart contracts provide unprecedented transparency as well as real time insight into the into how funds are being deployed giving investors greater participation and protection through better disclosure and reporting. You can have programmatic actions, where the money can be moved around based on predefined set of rules rather than manual intervention. This opens interesting possibilities on how securities and funds management can happen in future. Settlements are faster, the trade is the settlement. A number of back office costs are simply eliminated leading to lower operating costs. These are just some of the advantages of security tokens, in the next article we will take a closer look of they can help property developers solve some of their challenges with respect to equity funds for their developments as well as achieving faster presales. The Urban Developer is proud to partner with Konkrete to deliver this article to you. In doing so, we can continue to publish our free daily news, information, insights and opinion to you, our valued readers.